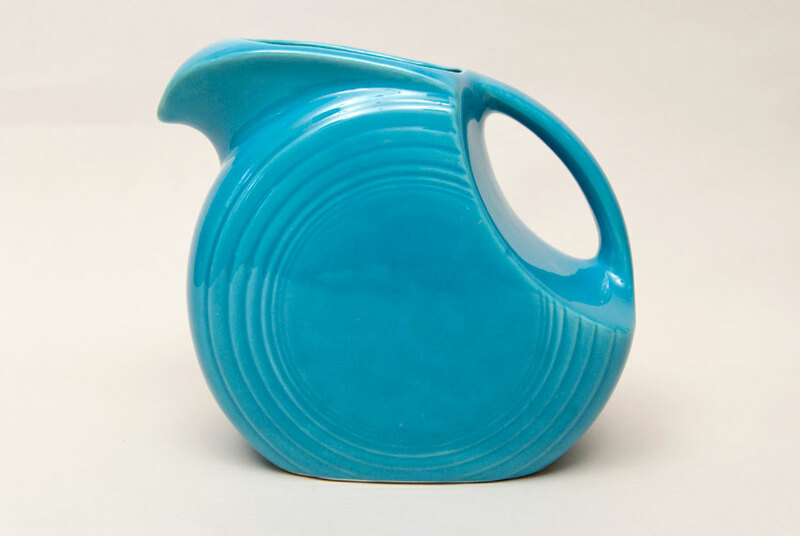 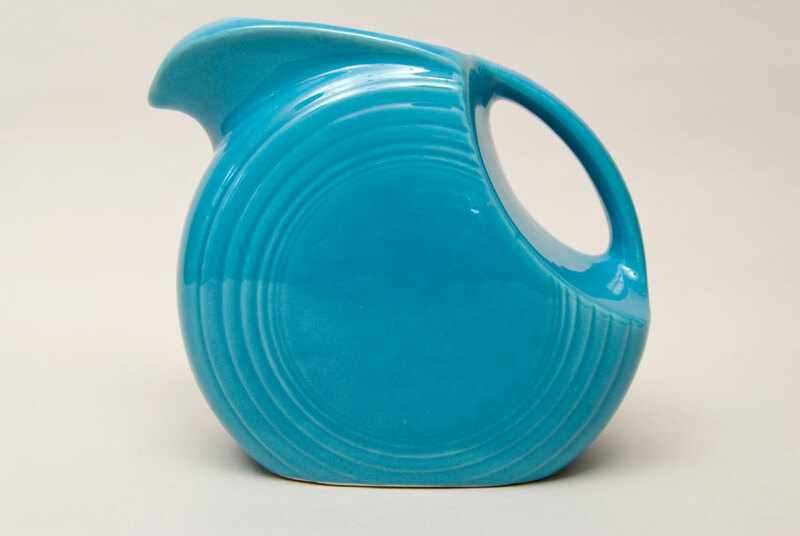 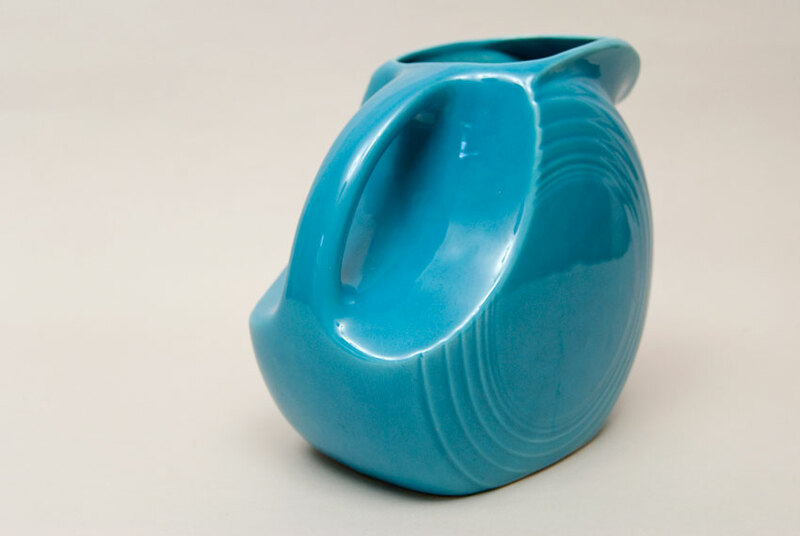 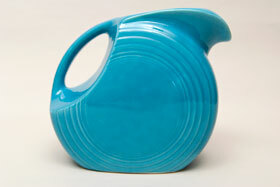 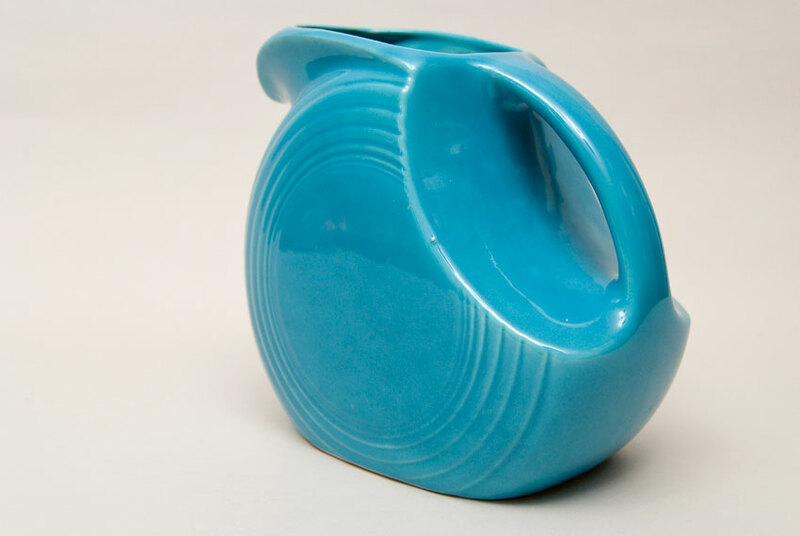 Circa 1938-1969: The classic iconic piece of the Vintage Fiesta pottery line, the disk water pitcher, shown here in original turquoise with a great even glaze and nice rich application. Original vintage pitcher with hand tooled inside. 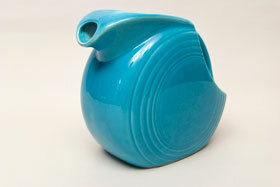 This particular example exhibits a great rich, brilliant glaze without damage or issues. Measures 7 1/2" tall x 8 3/4"w x 5"d.